Carnival cruise line has launched Cozumel Plus to give you more time in port, opening the gateway to a variety of new excursion opportunities. Cozumel Plus has been designed by Carnival cruise line and as well as giving guests longer in port, a selection of additional shore excursions has been unveiled. 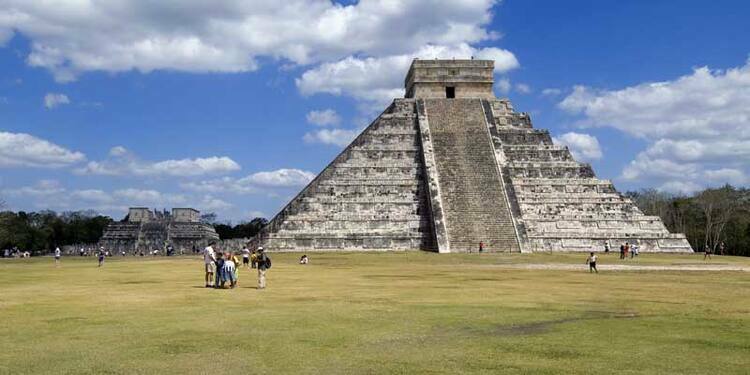 The new, extra-long tours include incredible experiences such as swimming with whale sharks, exploring undersea caves and visiting the fascinating site of Chichen Itza. These new excursions will be in addition to the 50 existing tours already on offer, presenting huge choice for cruise visitors. More than 800 Carnival voyages will benefit from the extended time in port, enabling guests to explore more of one of the Caribbean’s most diverse holiday destinations. To launch the Cozumel Plus programme, Carnival are offering guests booking this itinerary a special promotion which entitles them to $25 onboard credit that can be used toward booking excursions in Cozumel. This promo is available until the 22nd April. The Cozumel Plus itineraries are available on 17 of the Carnival ships, operating four to seven day cruises from six North American homeports, providing guests with exceptional choice and convenience in their shore excursion options. The additional time in port has enabled Carnival’s shore excursion experts to partner with local tour operators to create one-of-a-kind excursion offerings that allow guests to fully immerse themselves in Mexican culture and participate in truly unique on-shore experiences. Cozumel Plus tours are up to eight hours in length and include everything from extended, day-long tours visiting ancient Mayan ruins, including Chichen Itza – one of the Seven Wonders of the World dating back to 750 A.D. – to snorkelling the exquisite turquoise waters of Xel-Ha, a magnificent group of lagoons connected by a series of bridges. On other excursions, guests can explore Mexico’s famed “secret river,” subterranean caverns connected by underground waterways with stunning natural rock formations that are millions of years old or participate in a seasonal excursion of swimming in open waters with whale sharks – gentle sea creatures measuring up to 40 feet in length and weighing up to 47,000 pounds. The additional time in port provides guests with additional time to check out Cozumel’s legendary white-sand beaches, excellent fishing, snorkelling, water sports and unique shopping and dining opportunities. Take a look at our Cruise Nation deals for Carnival cruise line in the Caribbean. MSC Cruise Line Has 11 New Cruise Ships On Order!